Alistair Walker of Gloucestershire and Suzie Pierrepont of Sussex claimed their first national titles at the National Squash Centre in Manchester today when they won the Millfield Partnership British Under 23 Championships. Number one seed Walker found it far from easy against Essex's Phil Barker, and lost the first game 10/11 (4-6) in 25 minutes. However, from then on Alistair moved up a gear and won the next three games comfortably playing some wonderful squash to take the title. In the women’s final Yorkshire’s number one seed and former British Under 17 Champion Lauren Siddall started well and took the first game 10/8. 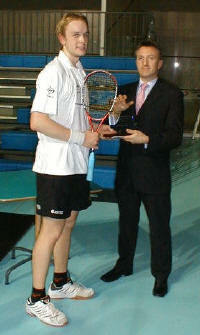 Suzie Pierrepont, the 2003 European Under 19 Champion then suddenly found her rhythm and ran out a 3/1 winner. The finals were watched by the country's top Under 15 players who were present to participate in an England Squash Grand Prix. Both finals were played in great spirit and included a standard of squash that the Under 15 players must look to aspire to. With reigning champions James Willstrop and Jenny Duncalf competing in the European Individual Championships in Bratislava and the new WISPA Gold Event in Bahrain, respectively, the door is open for new British Under 23 champions to be crowned in Manchester. Alister Walker (World No51) and Phil Barker (World No73) head the men’s seedings and Lauren Siddall (former British Under 17 Champion and current English No18) and Suzie Pierrepont (English No19) lead the women’s event. The event is run by England Squash and BSPA and is once again sponsored by the Millfield Partnership, a leading national independent financial advisory firm. 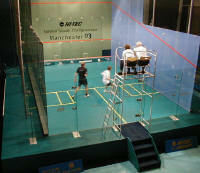 The championships are being held at the National Squash Centre in Manchester between 10-12 September and are being run alongside an England Squash U15 Grand Prix which sees 16 of the best English under 15 boys and girls compete. There is free admission for spectators throughout the event with the finals scheduled to start at 1.00pm on Sunday 12 September. The BSPA is pleased to announce the Millfield Partnership's continued support of Under 23 squash with the return of the Millfield Partnership British Under 23 Closed Championships. 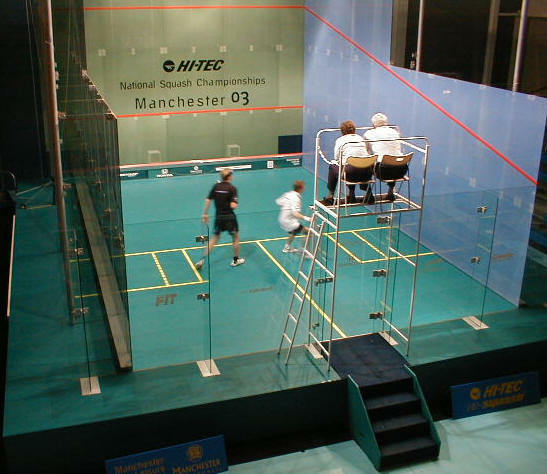 The event that was resurrected under the same sponsorship last year will take place between 10-12 September at the National Squash Centre in Manchester and will comprise a 32 Men's Draw and a 16 Women's Draw run by England Squash. Last year, James Willstrop beat Nick Matthew in high quality final to win the championship that was last played for in 1995. Jenny Duncalf demonstrated that she was ready to move in to the game's elite with a straight games demolition of Dominique Lloyd-Walter in the women's final, definitely a great stepping stone with the previous winner having been current World no.1 Cassie Jackman! With both players still eligible to defend their titles this year's event is bound to attract a strong field. 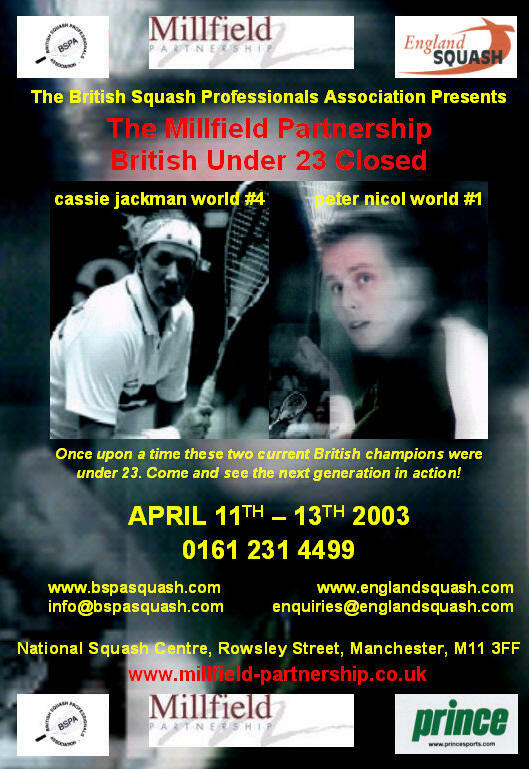 In a thrilling climax to the first staging of the event since 1995, second seed James Willstrop fought back from 2-1 down to beat favourite Nick Matthew 15-12 11-15 8-15 15-12 17-15 in the all-Yorkshire men's final of the Millfield Partnership British U23 National Championships at the National Squash Centre in Manchester, England. The women's title was also claimed by Yorkshire when top seed Jenny Duncalf, the world No25 from Harrogate, beat No2 seed Dominique Lloyd-Walter, from Harrow in Middlesex, 9-3 9-2 9-2 in the other final. Matthew, 22, a former British Junior Open champion from Sheffield, is ranked 26 in the world - whilst Willstrop, the 19-year-old reigning World Junior Champion from Pontefract who has only been playing full-time since leaving school last year, is ranked 11 places lower. But, though the result would appear to be an upset, Willstrop had already been selected ahead of Matthew to make his senior debut for England in next month's European Team Championships in Nottingham. It was a match of the highest quality, Matthew having reached the final after twice being forced to come from behind to overcome third-seeded Adrian Grant in a 90-minute marathon, while Willstrop dismissed fourth seed Jonathan Kemp in just 32 minutes in the other semi-final, despite dropping his first game of the tournament. Heading for victory at 2-1 up, Matthew went 4-12 down in the fourth game - but pulled back to 12-12 before Willstrop regained the advantage to level the match, then clinch the fifth 17-15 to win the title. to have this title back on the calendar and Nick made it a fantastic final. It was good too to be back at the National Squash Centre in Manchester, on the all-glass court where I enjoyed a good run in the National Championships and played Peter Nicol for the first time in the semi-finals." England Squash and BSPA are pleased to announce the re-launch of the British Under 23 Closed Championships. The event will take place between 11-13 April at the National Squash Centre in Manchester and will comprise a 32 Men's Draw and a 16 Women's Draw. The championships have not been held since 1995 when Marcus Berrett and Cassie Jackman lifted the titles. This year's event is bound to attract a strong field with the likes of Nick Matthew, Adrian Grant and James Willstrop eligible to enter the men's event and Dominique Lloyd Walter, Jenny Duncalf and Vicky Lankester possible entrants into the women's event. Nick Rider, Chief Executive of England Squash, concurred. 'I very much welcome the reintroduction of this event - it's a great opportunity for the sport to show what talents we have coming through the professional ranks. It highlights in particular what can be delivered by effective partnerships, and I'm delighted that we're working so closely with BSPA on this project.